I Fix Bars by writing Bar Manuals. My name is Preston Rideout and I’m a Bar Operations Specialist. I got in the Bar Business while attending the University of Mississippi. In 1996, Daryl Coleman hired me to work the door at the Gin. Daryl was a larger than life character on the Oxford Square. His exploits are legendary and the Gin is iconic. Ask any Ole Miss alumni about Penny Pitchers or Dollar You Call It and they will have a Daryl story. We spent countless hours at the door discussing bar business. Night after Night, Daryl would stand beside me while bestowing a real world education. In time, I began bartending then managing the Gin. I graduated with two degrees. A Bachelor of Arts from the University of Mississippi and a Bar Degree from the Gin. 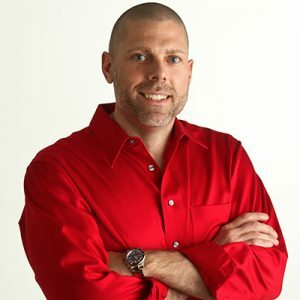 With degrees in hand, I relocated to Las Vegas and met Steve Davidovici. Stevie D. built a Nightclub Empire by redefining Bottle Service. GQ credits Davidovici for creating the Celebrity Guest Appearance nightlife nexus between Paris Hilton and nightlife. Stevie operated Pure Management Group and gave me a job working at Coyote Ugly. Months later, PMG exploded opening Tangerine, Pure Nightclub, Pussycat Doll Lounge, LAX, Noir Bar and Audigier. Stevie D. achieved Modern Perfection while PMG conquered Las Vegas Nightlife. Opening, Operating, Bartending and Managing these nightclubs was the opportunity of a lifetime. 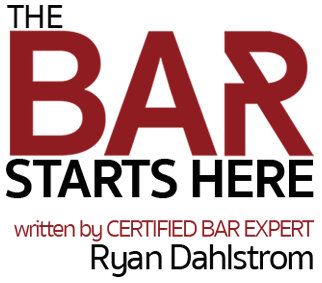 In 2010, I met Ryan Dahlstrom and became a Bar Consultant. We created Dahlstrom and Rideout Entertainment then launched The Nightclub Hall of Fame, Top 100 Nightclubs and Bar Manuals. BarManuals.com is the by product of two decades in the Bar Business. 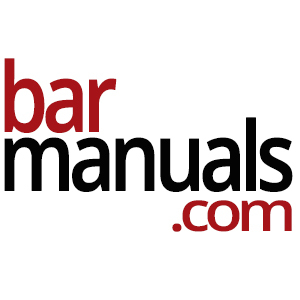 Although 20 years in the making, Bar Manuals exploded overnight. Our Bartender Training Manual began trending after receiving 5,000 comments and likes on Linkedin. This week Bar Manuals achieved a milestone by surpassing 50,000 downloads. Who could have imagined? An Ole Miss graduate and former Gin employee Fixing Bars by writing Bar Manuals then receiving 50,000 downloads. I did. That’s who. Me. Preston Rideout. I despise Top Down Ivory Tower operations, mindless management and impotent training techniques. Speaking out, solving problems and providing solutions finally paid off. Numbers don’t lie. Fifty Thousand downloads speak for themselves. The hospitality Industry has spoken. Corporate Cookie Cutter training manuals are out. Dahlstrom and Rideout Bar Manuals are in. Management by Abdication is over. Franchising restaurants by replication is over. Ask Ruby Tuesday about closing 95 restaurants. Read about Logan’s Roadhouse filing for bankruptcy with 416 million in debt. Ruby Tuesday and Logan’s Roadhouse lost site. Blinded by ambition, Ruby Tuesday and Logan’s Roadhouse made hospitality obsolete by manufacturing robots. I believe The Bar Starts Here! At the bottom, behind the bar, beside line level Bartenders, Bar Backs, and Servers. My Bar Manuals perceive problems and provide solutions by embracing the Employee Line of Sight. Restaurant, Bar and Nightclub owners, I challenge you to Ask Questions and Demand Answers. Ask yourself, what is my foundation for success in the Bar Business? Brick and Mortar are your foundation for building a Bar but what is your foundation for training, operating and growing your bar? I am Preston Rideout. I fix Bars by writing Bar Manuals. Call me now! (662) 466.6045 to discuss Bar Operations, Bar Manuals and Bar Consulting.